"Thanks very much for this. Arrived today. Beautiful and actually fits perfectly and snugly around the pup selector plate, unlike the poor fitting original that comes from Fender with the Tele." - Nigel, Manchester UK. 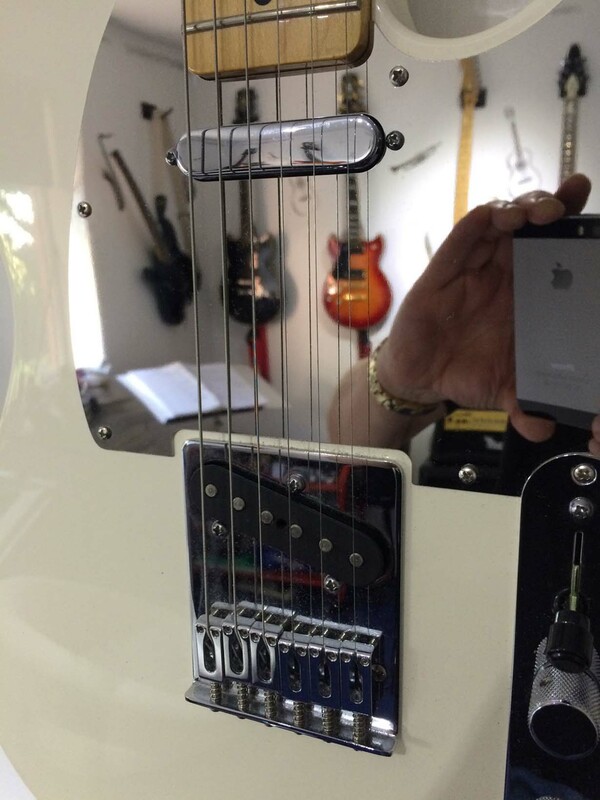 Thanks for the feedback Nigel, looks great on that Tele vintage white colour. Cheers for the cool pic, and rock on.